After the quite overwhelming response to my last post about my whisky and dark chocolate Beautiful and the Damned cake, I didn't know what to post about next. After a big project, what can follow? In the end, I reached back to a classic. 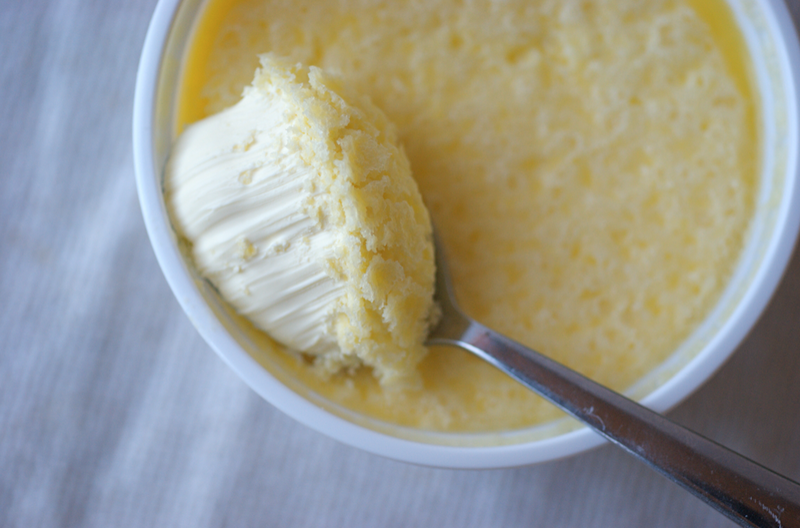 It's a classic English pudding, but also a classic to me, a childhood staple. 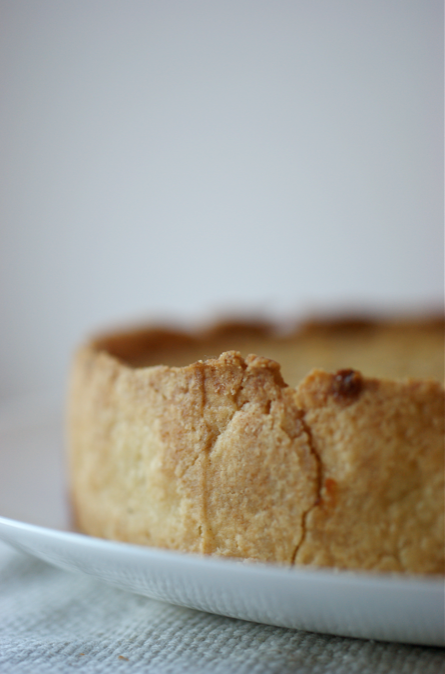 This is the Treacle Tart I mentioned in my post about Eccles Cakes. It's another treat from that special bakery, another childhood memory. It wasn't our house in Cornwall without at least one Treacle Tart sitting on the top of the counter. As children the most exciting part of the day was pudding after lunch, when the tart(s) would be slipped in the Aga for a few minutes to warm and then served with big dollops of clotted cream. Later on, as teenagers, we used to come home from beach parties and tipsily sneak slices of the tart before heading to bed. Apart from the vast amounts of golden syrup, this is actually a very useful store cupboard-and-leftovers type of pudding. The bread in particular can be whatever you have lying around, as long as it's not too seeded or flavoured. 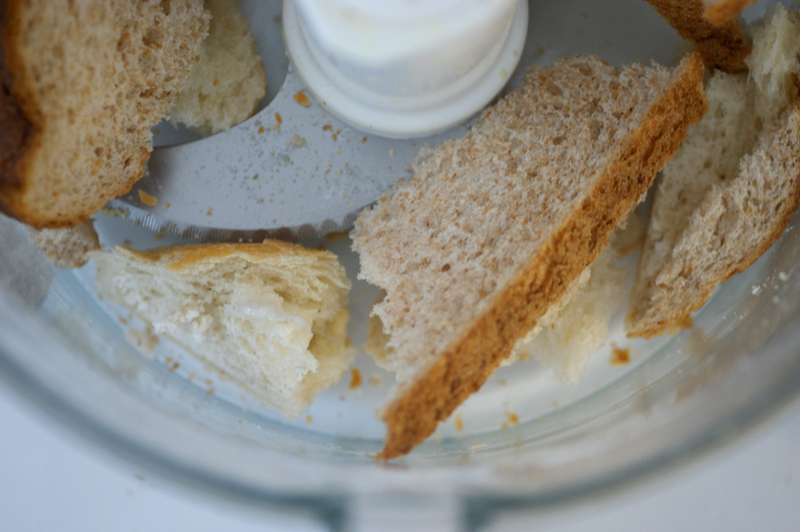 I used some old bits of wholemeal, a chunk of white bloomer that had somehow ended up frozen and a white roll. It's also incredibly easy. All you have to do is make a pastry case and then a simple mix-and-pour filling. I added a bit of ground ginger and some double cream to loosen the set but other than that the recipe didn't need fiddling with. I couldn't possibly serve Treacle Tart without clotted cream. It would just be wrong. (Though I did allow certain people a small amount of vanilla ice cream...). They even have matching tops - look how similar the crust of the cream is to the top of the tart! All in all, I was very pleased with this. It's not really the tart of my childhood, but I doubt I could ever replicate that. This version is yummy and so unbelievably addictive - we demolished the whole thing in one sitting. Do try it - I know the concept is a bit odd if you haven't heard of it before, but it's so good! 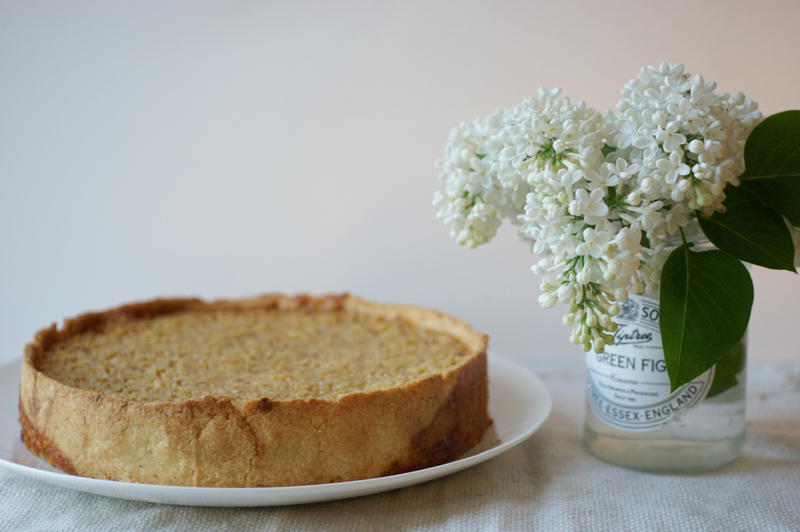 Edit: My new and improved treacle tart recipe is here. 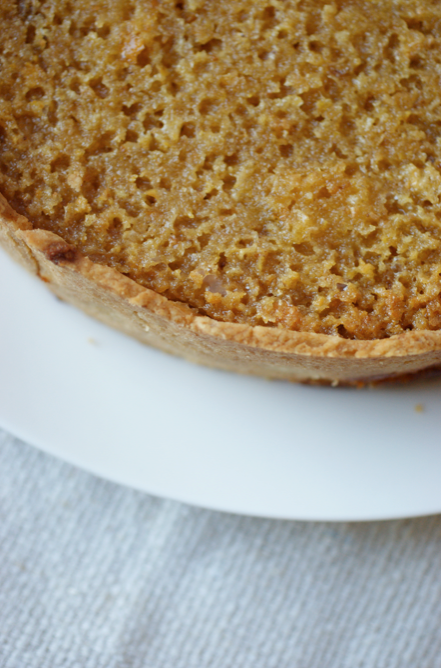 I love treacle tart! It reminds me of my childhood too as my mum always used to make this all the time. 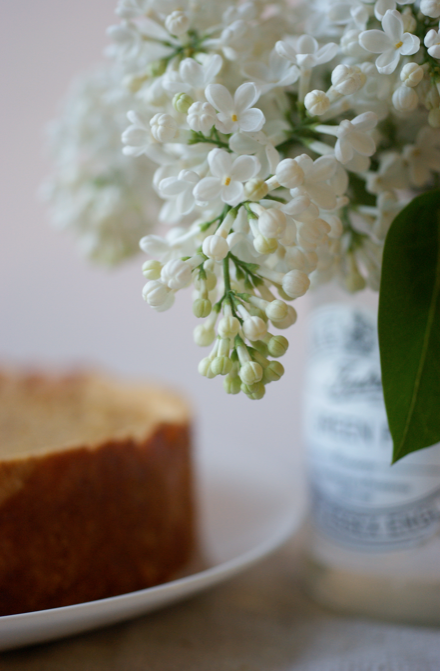 I can just imagine how nice it will be with clotted cream! 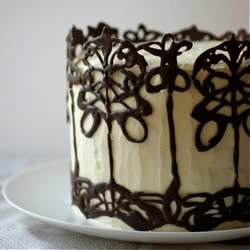 This looks so yummy; it makes me think of Harry Potter. I'm in the US and can't get golden syrup. Do you think corn syrup would work? Mrs. Mordecai, I live in the US, too (in the midwest, no less) and golden syrup is available. The Cost Plus World Market chain and various independent international grocery stores carry Lyle's Golden Syrup. It's also available online through Amazon and other gourmet ingredient purveyors. It's absolutely glorious and corn syrup isn't remotely suitable as a substitute. 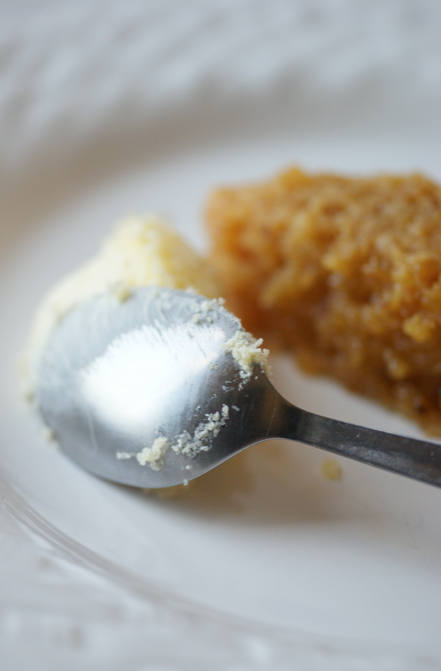 Golden syrup is complex, butterscotch-y, and has a really clean finish. Thank you for the insider knowledge, loltofu! I've never used corn syrup but as you say, I would imagine it would be a poor substitute in this tart - the syrup is the overriding flavour. Sorry my ignorance, but what is golden syrup? Ana - No worries! 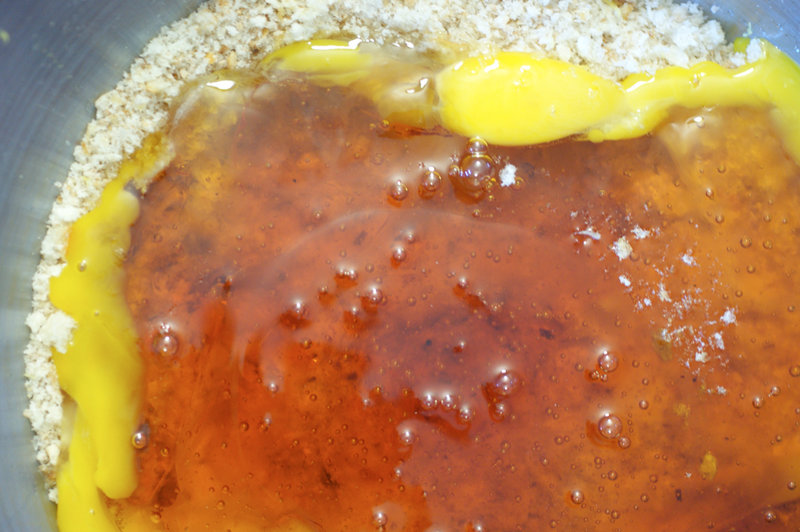 Golden syrup is sort of pale treacle - have a look at the wiki article for more. It's got quite a strong flavour and is very sweet. I've written about it before with the Ginger Oat Biscuits. I shop in a relatively small town and we can find Golden Syrup here in the US. You just have to go to a specialty shop. I can't imagine substituting anything for Golden Syrup as it has its own rich flavor. Looking forward to trying this one.